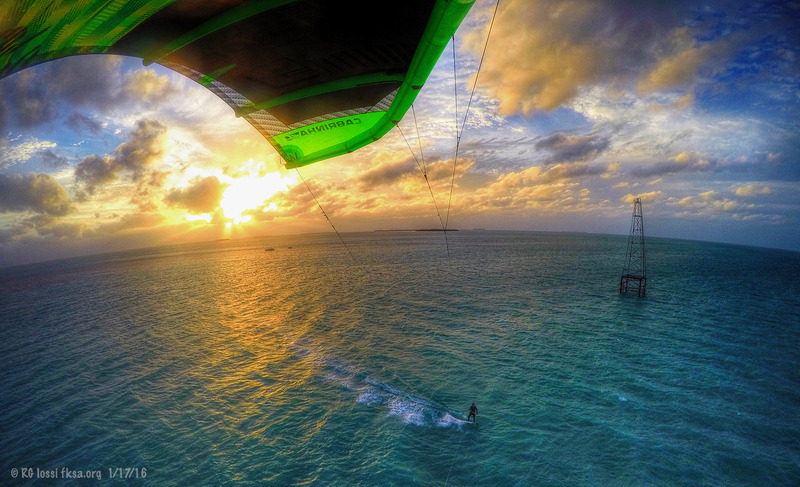 FKA Kiteboarding Forums > MAIN FORUM > Kite Events And Competitions > *** Past KB Events! *** > 2008 FKKA "April Fools Kite Poker Run"
On March 29 or 30th (depending on wind speed/direction) the Keys KiteRiders in conjunction with The Otherside Boardsports will be hosting a downwind Poker Run. If the winds are easterly (15 knots +) riders upon registering will draw their first card and launch near MM 92 in Tavernier. They will sail downwind for approximately 20 miles with 3 stops along the way (TBA). The stops are actually going to be strategically placed boats set up according to wind speed and direction. Riders will be assigned a number and will notify station boats then they will receive their next card. Final destination, also, TBA “Best Hand Wins!” The party will follow with prizes, raffle and cookout and open jam, (bring your instruments). Registration is $40, with additional hands available for $10. Proceeds will be for prizes, (more riders, more prizes, more money! ), charity and the party. Pre-registration is not required, but contact The Otherside for details (305) 853-9728 so we can calculate the number of entrees. A liability/waiver must be signed at registration and if under 18yo a parents signature is required. Remember, this is not a competition or race. It’s a downwind fun run with chances to win cash and prizes. It’s strongly encouraged to ride orderly (hotdogging near launch/landing zone, around or over station boats will not be permitted). Further details will be posted shortly. Also, car-pooling will essential and volunteers are encouraged. A schedule of events are soon to follow. Stay tuned for more! It has been announced due to favorable winds on Sun. that the “April Fools Kiterider Run” will take place on March 30th. Wind forecast ENE 15-20 mph and building. Registration starts Sat. afternoon at the oTHErside boardsports at mm 87. Riders will receive T-shirts, armbands, assigned a number and a map of the course. Registration fees are $40/person and additional hands for $10 (you must be a registered rider to purchase extra hands). Registration will resume Sun. at 9 am until 12pm. Riders are required to launch their kites after they have received their first playing card no earlier than 11 am. The cutoff time to get on the water is 1 pm. The stops (station boats) along the way are TBA. But most likely 1stt stop Launch area at Harry Harris Park, 2nd stop Tavernier Key, 3rd stop Hog Heaven sandbar, 4th stop Indian Key, and last stop at Anne’s Beach. Station boats will have identifying flags on board. No loitering at Anne’s Beach because the party will start soon after the last kite lands. The party will be at the Oceanveiw Inn at mm 84.5 bayside. Here we will announce the winner, raffle prizes (vendors bring goodies), open jam session and food/drinks will be available. Prize money will be determined by the number of riders. Jokers will placed in the decks and if a joker is drawn the rider will receive $100 and their next card. Attention riders: Make sure your equipment is in check: i.e lines, bridles, bladders, footstraps, harness and whatever else because we’re limited on support boats. You must be an experienced rider. The launch is going to be technical (booties recommended) and you must be able to navigate a 20 mile downwind course. Less experienced riders can ride at either Whale Harbor Beach mm 83 or Anne’s Beach mm 72 but are welcome to join the party Sun. afternoon starting about 4 pm at the OV. Riders are encouraged to ride in groups but when approaching station boats spread out and give each other room. We have the right to remove any rider from the event for foolish riding without a refund. So kite right! This is the first ever Keys Kiterider Poker Run with your co-operation this event could be something to continue to do in the future. Car-pooling will be essential and if interested in volunteering please call the oTHErside at 305-853-9728. In the case of a no wind event the remainder of the hand will be played out at the party. In the case of a tie winners can split the prize money or have a playoff hand. Hope to see you this weekend. How did it go? Hope you had enough wind down there. It was really WET up this way today. Good thing we're in a drought! Sorry for the delay in posting. The 2008 Florida Keys Kiteriders Poker Run went off on a light wind day and the only thing that got people riding were the Spleene Doors on hand. A total of 32 hands were dealt out with the winner being Thomas Bosely who went home with $300.00 cash. We ended the weekend with a party at The Overview Inn. We would like to thank all of our sponsors again for their support. We will be doing this again in the future and hope many more riders will come and have the fun we did.